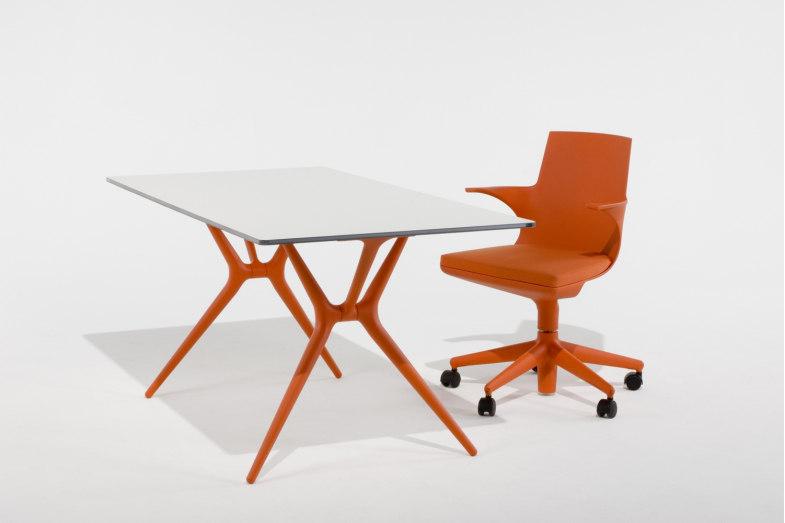 Spoon Table is an office folding table characterised by its very light weight and practicality. The structural top is made of honeycomb aluminium and is only 15 mm thick. It has a white laminate finish with a coloured edge, surfaced with methacrylate giving depth to its transparency. 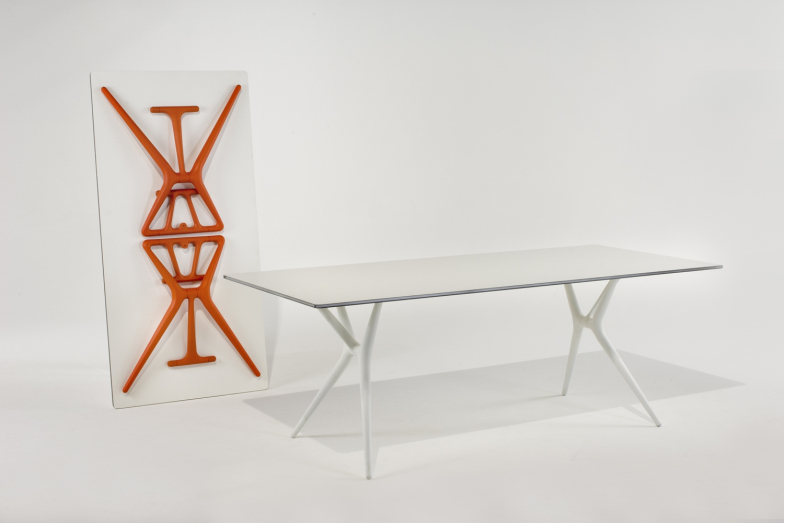 The thermoplastic legs are a guarantee of sturdiness and aesthetic appeal, while the knee closing mechanism was designed to simplify the folding of the top, making the Spoon Table perfect for living in small spaces and for easy carrying. The leg-locking system requires no tools and works using only a slider eyelet. The Spoon Table comes in three sizes of tops and with legs and matching edges in three colours.